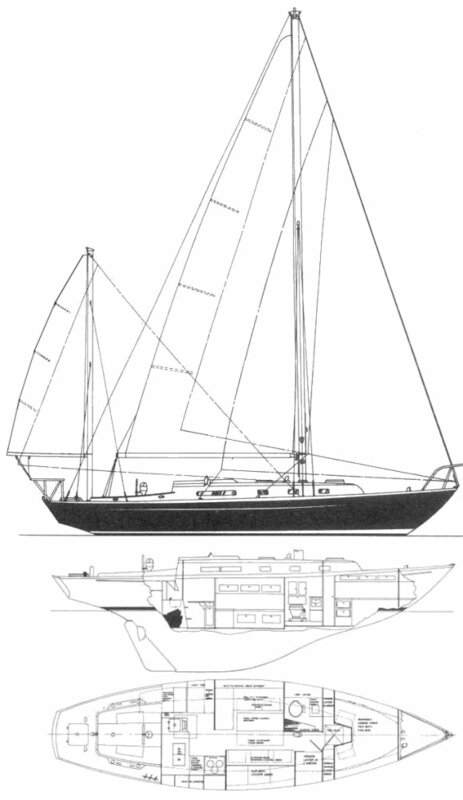 The Mark II, shown here, has less wood in the construction than the Mark I, employing instead a molded floor support, molded overhead liner and a fiberglass toerail. 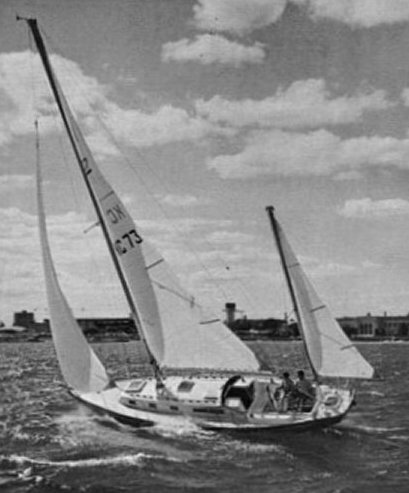 Most boats were delivered with either the 23­hp Volvo MD2B or the 27-hp MD 11C. A 40­hp Westerbeke 4-107 was an option. Tot. working SA: 676 sq.ft.